Scandifire is a heater from SAWO's Dragonfire line with a stylish exterior and thoughtful safety measures. It is suitable for 3 to 6 persons small and medium sized sauna rooms. 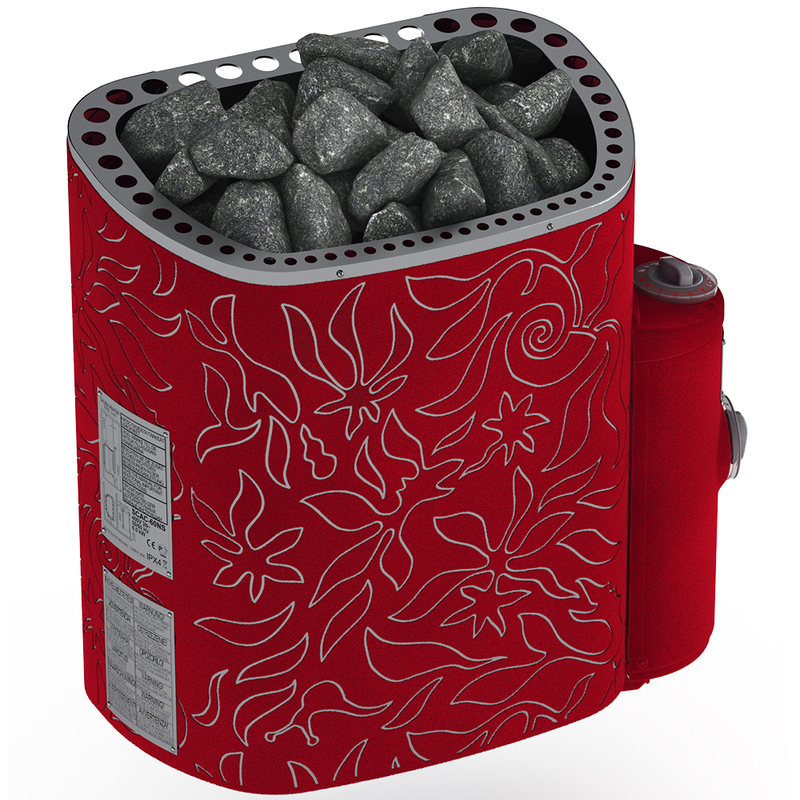 It can store up to 22 kg of stones and be controlled either with built-in or separate control units. Built-in control unit is reversible from left to right. Outer casing is made of stainless steel. Patterned fiber coating is available in 2 colors, applies classy appearance and is safe to touch during operation.